Washington (CNN) -- President Obama met Wednesday with House Democratic leaders who face the likelihood of having a final health care bill look much more like the Senate's version than their measure. The meeting with House Speaker Nancy Pelosi and the chairmen of the three House committees that approved health care legislation was part of efforts by Obama and top Democrats to merge the separate House and Senate bills into a final version capable of winning approval in both chambers. Senior Democratic sources say Democrats are prepared to short-circuit the traditional legislative process of a formal conference committee comprising House and Senate members to exclude their Republican counterparts during final congressional health care deliberations. Obama gave his blessing Tuesday for that move, according to two congressional Democratic leadership sources. Democrats are trying to prevent the Republicans from using Senate rules to slow the push for final passage of a comprehensive reform bill, the sources said. "There's clearly a tactic of slowing down progress on behalf of the American people," White House Press Secretary Robert Gibbs said Wednesday of GOP maneuvers in the Senate. When asked if Obama supported avoiding a formal conference committee, Gibbs said: "The president wants to get a bill to his desk as quickly as possible." Republicans, in turn, are pushing to allow open media coverage of the final negotiations -- a move many observers believe would complicate House and Senate Democrats' ability to forge a consensus. The full House of Representatives is not scheduled to return from vacation until January 12; the Senate meets January 19. But top representatives and senators, as well as their aides, have already been discussing the issue. Congressional leaders are working to merge an $871 billion Senate bill and $1 trillion House bill that differ on several critical details. Democratic leaders hope to get a bill to Obama's desk by early February, near the time of the president's State of the Union address, several Democratic sources have said. Pelosi, D-California, admitted last month that this deadline could slip. Formal House-Senate negotiations, under the ordinary legislative process, would likely have started shortly after both houses of Congress reconvene. 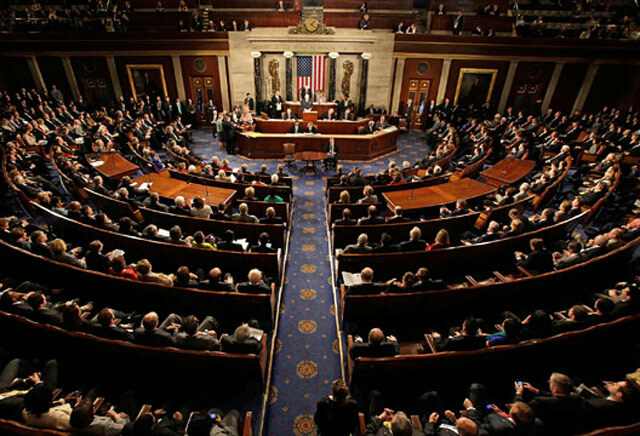 In order to hold a formal conference, the committee members from both the House and Senate must be formally appointed by both bodies, with resolutions passed by both chambers. One Democratic leadership aide said getting those resolutions passed in the Senate could delay and even derail Democratic efforts, because Republicans would be allowed to offer amendments and hold lengthy debates on the resolutions to appoint conferees. Another potential complication: a recent request from C-SPAN head Brian Lamb to allow television coverage of House-Senate negotiations. 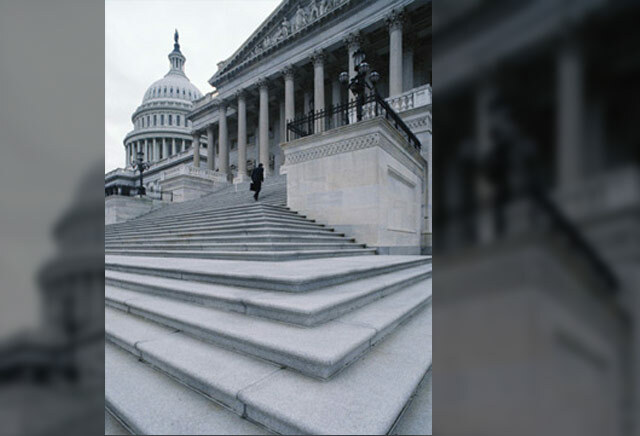 C-SPAN is a nonprofit cable entity largely devoted to coverage of Congress. "Hard-working families won't stand for having the future of their health care decided behind closed doors," House GOP Leader John Boehner of Ohio said in a letter to Lamb released Tuesday. "Secret deliberations are a breeding ground for more of the kickbacks, shady deals and special-interest provisions that have become business as usual in Washington. Too much is at stake to have a final bill built on payoffs and pork-barrel spending." Gibbs avoided commenting directly on the C-SPAN request Wednesday, saying the health care debate so far had been fully covered in the news media. Democrats said it was impossible to predict what kind of coverage might be possible, given that it is unclear if there will be any formal negotiations. "We will continue to keep the American people informed," said Maryland Rep. Chris Van Hollen, a member of the House Democratic leadership. "There has never been a more open process for any legislation," Pelosi said. But "we will do what is necessary to pass the bill." Many observers believe the more liberal House measure will be largely forced to conform to the Senate bill. The traditionally fractious 60-member Senate Democratic caucus struggled to unify behind a single measure, and needs to remain united in order to overcome solid Republican opposition. However, the House also narrowly passed its health care bill on a 220-215 vote. The different approach to financing in the House and Senate bills is one of the many differences to be reconciled. In December, Obama predicted the final bill will probably end up with a variation of both the income tax surcharge and the tax on high-end plans. Another key sticking point is the dispute over a government-run public health insurance option. The House plan includes a public option; the more conservative Senate package would instead create nonprofit private plans overseen by the federal government. Pelosi, when asked about the public option on Tuesday, said that Democrats' goal has always been to hold insurance companies accountable while increasing competition and affordability. "There are other ways to do that" aside from the public option, she said. Insurance companies will be held accountable and will "be crying out for the public option one of these days." CNN's Dana Bash, Lisa Desjardins, Kristi Keck, Alan Silverleib, Tom Cohen and Paul Steinhauser contributed to this report.